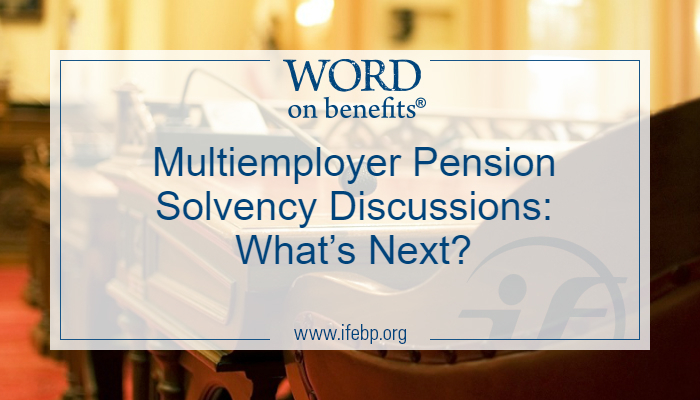 Multiemployer Pension Solvency Discussions: What’s Next? For the past six months, I’ve been watching with interest the government hearings held by the Joint Select Committee on Solvency of Multiemployer Pension Plans. This ad hoc committee of 16 legislators has been gathering testimony and comments from experts and participants about the status of multiemployer defined benefit pension plans. What is the Joint Select Committee on Solvency of Multiemployer Pension Plans? This ad hoc committee was put into place via the continuing appropriations law that was signed by President Trump on February 9, 2018. The committee, consisting of eight senators and eight representatives evenly split between Democrats and Republicans, has been tasked with improving the solvency of both multiemployer defined benefit (DB) pension plans and the multiemployer program of the Pension Benefit Guaranty Corporation (PBGC). The legislators have been asked to propose bipartisan legislation by November 30, to be voted on by both chambers of Congress in December 2018. They were charged with holding at least five public hearings; the fifth and last hearing was held in Washington, D.C., on July 25, 2018. While many multiemployer DB pension plans are financially stable and solvent, others face funding issues. Unfortunately, some plans with funding issues are very large and, should they become insolvent, could disrupt the multiemployer system, threaten the PBGC’s financial solvency and its multiemployer program, and impact more than 875,000 individuals. These troubled plans are categorized as being in “critical and declining” status. The Multiemployer Pension Reform Act, passed in 2014, allows these deeply troubled plans to file an application to the Treasury Department to reduce participant benefits. Reductions have been approved for some plans; some plans have applied and been rejected. Other plans have not applied but are facing challenges. These troubled plans are looking for solutions. At the same time, the PBGC itself is facing financial challenges. According to a report released in May, the PBGCs multiemployer program is likely to become insolvent by the end of fiscal year 2025. Why are some multiemployer pension plans in financial difficulty? Downturns in industries covered by multiemployer plans, leading to some employers declaring bankruptcy and/or withdrawing from plans. What possible changes are being explored by the Joint Select Committee? Under this proposal, government-backed loans would be given to troubled plans, either directly from the government or via third parties. This is a major component of a bill that has been introduced into Congress, S 2147 (the Butch Lewis Act) and its companion HR 4444 (the Rehabilitation for Multiemployer Pensions Act). Under this bill, money for the loans would come from the sale of Treasury-issued bonds to financial institutions. These low-interest, long-term loans (payable over 30 years) would be given to troubled plans that could be saved with this influx of cash. Plans receiving loans would not need to cut benefits. Bills S 2147 and HR 4444 call for additional government funding of the PBGC, so that the agency could assist troubled plans that need more financial help than only government-backed loans. Currently, under the Internal Revenue Code, multiemployer DB plans are required to use reasonable assumptions that represent the actuary’s best estimate of anticipated experience under the plan. Single employer plans are mandated to use a specific rate like the 30-year Treasury rate or corporate bond rate. The Joint Committee has asked experts to weigh in on whether or not multiemployer pension plans should be required to use a specific rate that is more conservative, like single employer plans do. Experts are divided. While some actuaries contend that a lower rate would be more realistic, the National Coordinating Committee for Multiemployer Plans (NCCMP) along with actuarial firms Horizon Actuarial Services, LLC, and Segal maintain that the assumptions being used are reasonable because of the long time horizon of the plans. They also stress that lowering the discount rate and increasing the amount of money needed in employer contributions will negatively impact employers and plans. Currently stable multiemployer plans will also be negatively impacted, and benefit reductions would likely be needed to counteract the change. 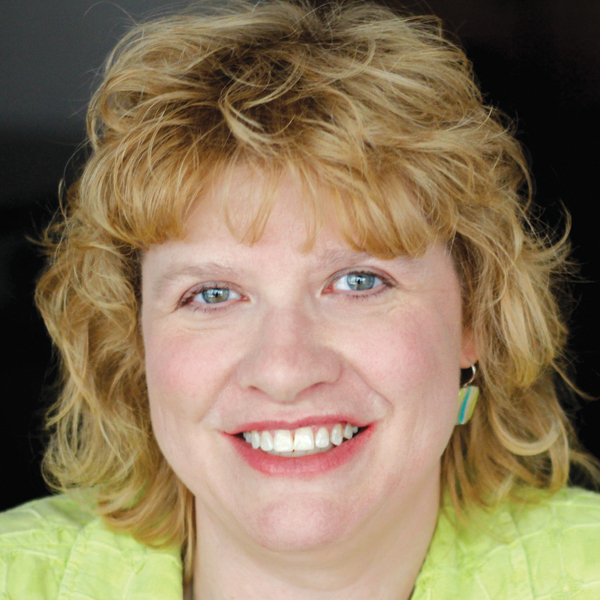 Some experts are urging longer term changes for multiemployer plans. Once immediate financial challenges are alleviated (perhaps by benefit reductions, financial support or loans), what can be done to make sure the plans stay solvent? One idea that has been proposed is the composite plan, a hybrid-type DB/defined contribution (DC) plan. This new model has been proposed under bill HR 4997 (the Giving Retirement Options to Workers Act, also known as the GROW Act). With this type of plan, benefits would be based on contributions and experience. If funding levels were to drop, contributions, future accrued benefits and benefits in pay status could be adjusted. Currently, the PBGCs multiemployer program sets premiums on a per participant basis ($28 for 2018). Their single employer program has both a flat-rate, per participant premium and a variable rate premium. For 2018, the per participant rate is $74 and the variable rate is $38 per $1,000 of unfunded vested benefits, capped at $523 times the number of participants. The maximum guaranteed benefit amount payable to a participant from the PBGC is much higher for single employer plans than it is for multiemployer plans. Historically, the differences in premium structure and guaranteed benefits for multiemployer and single employer plans grew out of the nature of multiemployer plans, specifically a unique feature known as withdrawal liability. If a contributing employer to a multiemployer DB plan withdraws from the plan, they are financially responsible for making the necessary contributions to fund their participants’ vested benefits. This was seen as being the safety net, rather than the PBGC. Because the PBGCs multiemployer program is facing financial challenges, some experts assert that the premium structure for multiemployer plans should be changed to allow for variable-rate premiums and that the flat-rate should be higher. Other experts are concerned that increasing premiums will cause additional financial hardship for troubled plans and increased financial obligations for currently stable plans. Congressional members of the Joint Select Committee and their staffers continue to collect information, read through testimonies and comments, and discuss options. (They are collecting comments through September 30, 2018.) The industry is watching to see what they will propose. The International Foundation will continue to follow the Joint Select Committee’s work. We’ll keep you informed of the results. Can you tell us what will happen when Senator Hatch retires at the end of the year? And who else is on this committee? I haven’t yet heard who will replace Senator Hatch on the Committee after his retirement. So stay tuned! Update: According to media reports, with Senator Hatch’s retirement, current Select Committee member Sen. Lamar Alexander has said the Senate’s Health, Education, Labor and Pensions (HELP) Committee, which he chairs, will take on these discussions during the next Congress. The Pension plan I am under is likely going to go into default around 2026. I have read Heritage Foundation article and another article that projected new retirees will likely get around 6 to 10 percent of the promised benefit amount. Older retirees will still receive close to the full amount. The Heritage article has several suggestions that may help as well. Almost all of my co-workers are oblivious to the seriousness of the Pension failure issues.